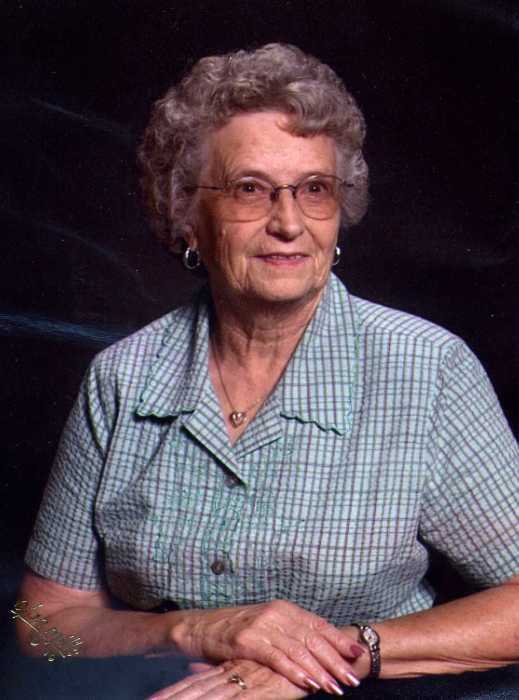 Helen Van Roekel Boldt, age 88, formerly of Worthington, died Tuesday, September 25, 2018 at Cottagewood Senior Communities in Mankato. She was born April 11, 1930, at home in Reading MN. She was the daughter of Emil and Emma (Janssen) Schlapkohl. She grew up in Reading, went to country school through 8th grade and 9-12th in Worthington. Helen was united in marriage to Melvin Van Roekel on June 27, 1950. The couple lived in Worthington until his death in May 1997. She married David Boldt June 5, 1999 and moved to Rushmore MN. Helen was employed at Montgomery Wards after her graduation from high school and worked at Red Owl. She is a member of the Church of Christ in Worthington. Helen enjoyed gardening, crafts, sewing, spending time with family, traveling and Saturday morning coffee at Hardees with the girls. She is remembered by the grandchildren as a grandma who never said “no” to them. Helen is survived by her husband, David Boldt, Worthington; two daughters, Sheryl (Dudley) Berger, St Peter; and Debra (Steven) Nordyke, Onalaska, WI; one son, Rick (Kathy) Van Roekel, New Ulm; seven grandchildren, Chad (Michelle) Berger, Jason (Karyn) Berger and Kari (Justin)Young, Katrina (Mikael) Larsson, Kristen (Jacob) Wallace, Megan Van Roekel, Nathan(Chelsea) Van Roekel; eleven great-grandchildren, Colton & Connor Berger, Emma, Ellie, Eva Young, Lydia & Natalie Larsson, Caleb & Samuel Wallace, Madelyn & Peyton Van Roekel; two sisters, Dorothy (Sidney) Lawrence, Park Rapids; and Minnie Apel, Worthington; one brother, Herman Schlapkohl, Minneapolis; step daughter, Deborah (Grant) Rykken; step son, Charles (Jeannie) Boldt; two step grandchildren; and two step great-grandchildren. She was preceded in death by her parents; her husband, Melvin; and a brother, Eugene Scott. A memorial service will be Thursday at 1:30 pm at the Dingmann Funeral Home, in Worthington, officiated by Pastor Steven Nordyke. A time of fellowship will be one hour prior to the service at the funeral home on Thursday. Burial of cremains will be in the Worthington Memorial Gardens Cemetery.